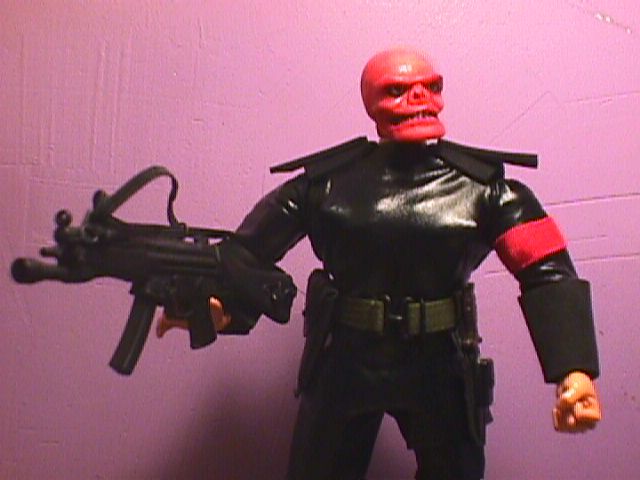 He was Nazi Germany's answer to Captain America, a source of terror, the enemy of all that Cap holds dear. 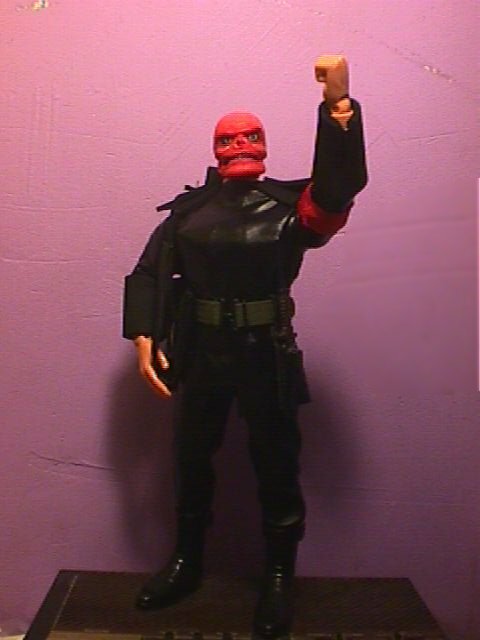 The intervention of Nazi geneticist Arnim Zola replaced his decaying body with one cloned from Captain America himself. 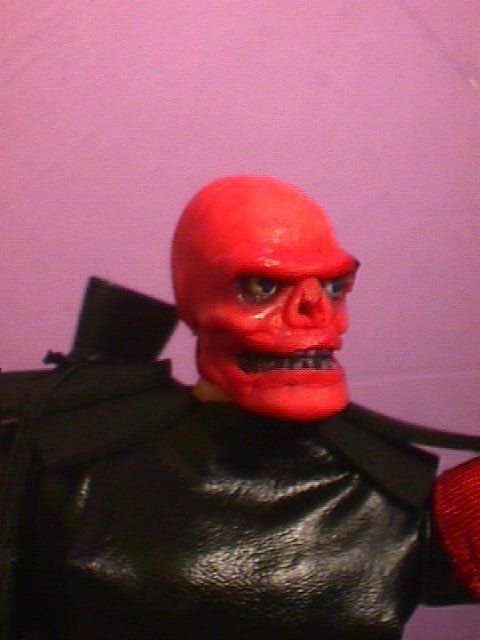 His own deadly poison replaced a rubber mask with shrivelled skin. 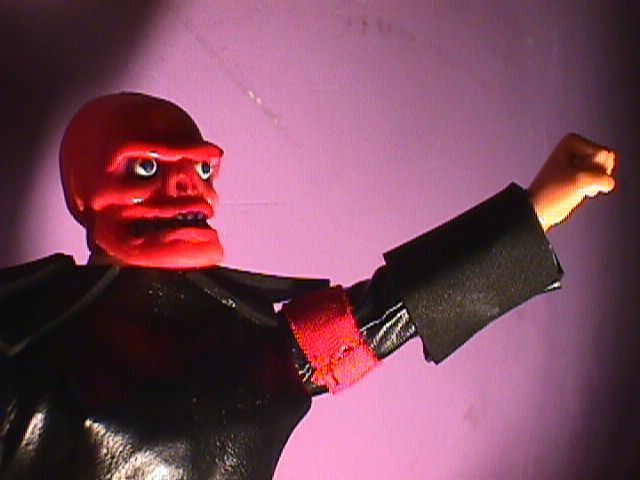 His own sick obsessions have replaced Naziism with a simpler and even more vile hatred off all things unlike his own twisted vision of perfection. He is without love, without compassion, without honor, integrity or the simplest concept of human dignity. To him, the vibrant promise of tolerance and diversity is the stench of lesser, mongrel people obscuring the greatness that is rightly his alone. Time and again, like a malignant cancer on the soul of the world, his evil will has returned him from what we would call death, to spread terror and hatred all around him. In his mad, glittering eyes, there is only hatred. Hitler wasn't strong enough, in the end, but, he swears, he will be. No longer content to follow any man's plan, he seethes and plans and works his evil. 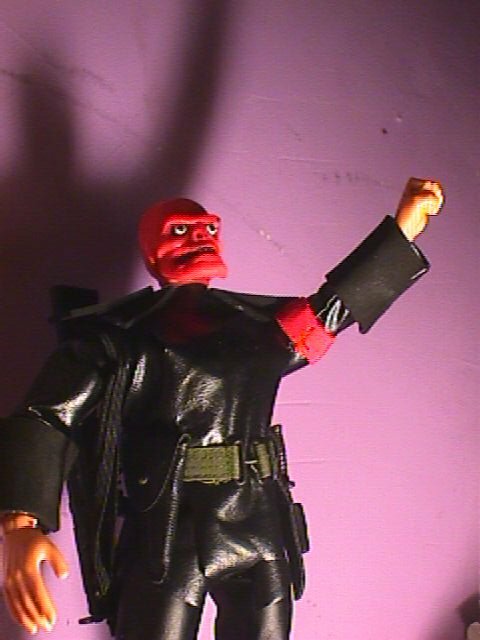 He isThe Red Skull and all shall bow down before him! 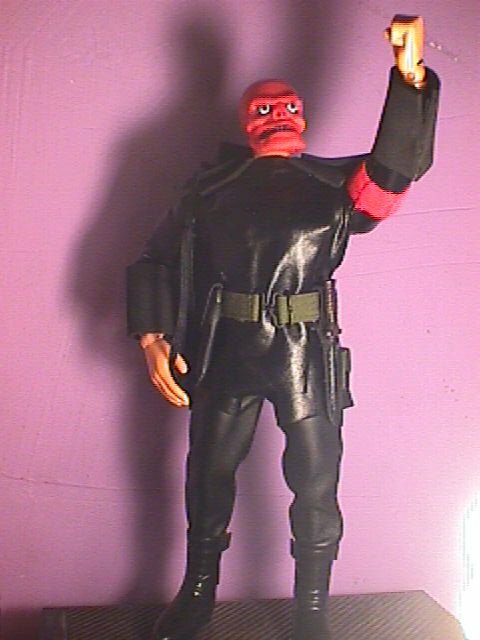 This is a re-working of a previous Red Skull figure I made. His body is Captain America's. 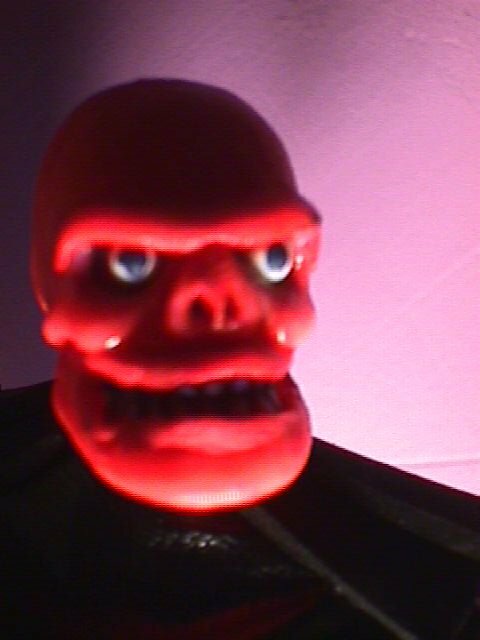 His head is a dopy plastic skull from a plastic "bendy" skeleton pulled over a de-winged Cap head. It was colored red for my first attept. 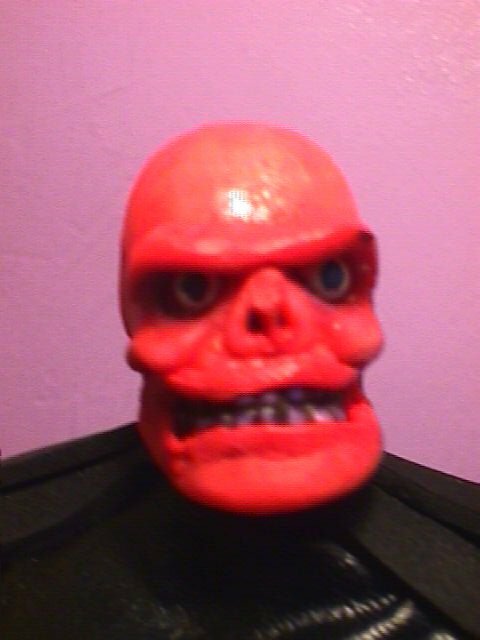 This time around, i hollowed out the eye sockets, and stuck white-headed sewing pins in, and painted on pupils. 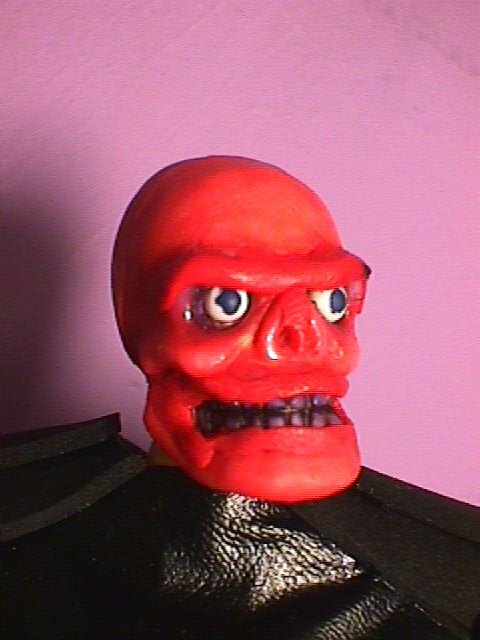 After seeing Elmeaux's version of Herr Schmidt, I added a heavier brow-ridge and lips of red Sculpey Super-Flex. 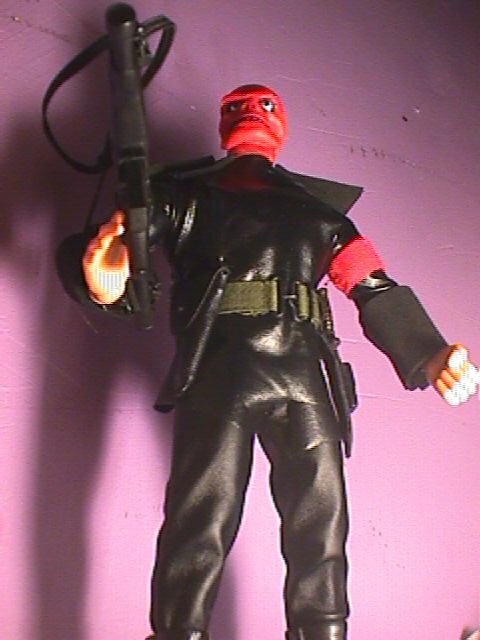 His belt is from an "Ultimate Soldier" figure. 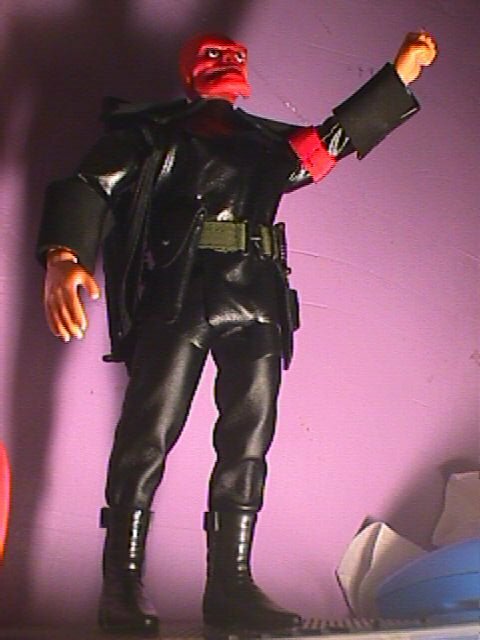 Pants from a Playmates "Katerina Witt" with boots from "Star Trek Ken." 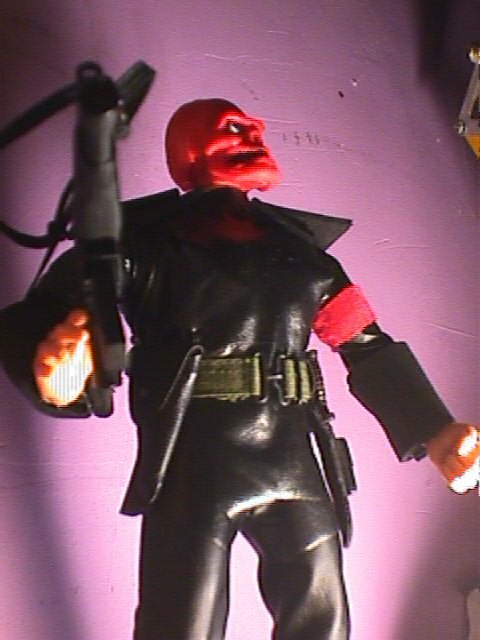 The jacket is hand-made from black Pleather, with cuffs and epaulets from black craft foam.